XBoard is awesome and clean Template , Template is designed for Business Companies , Contains files which have been well organized built using 1170 grid , The Template come with 2 Custom OrderForms . 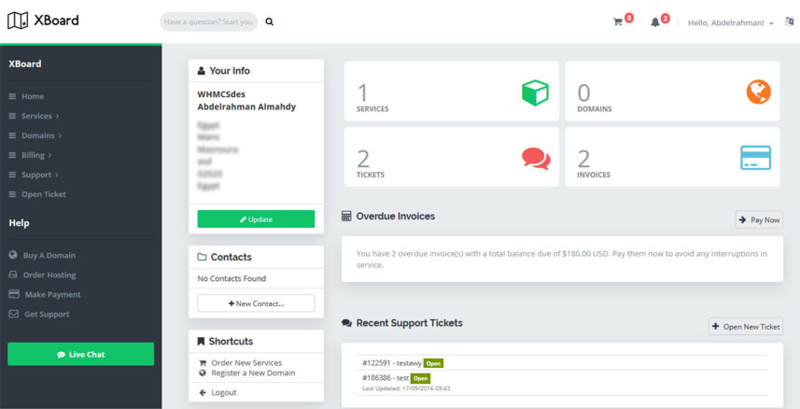 Be the first to review XBoard - WHMCS ClientArea Template. The Template comes with many forms development and two custom order forms .